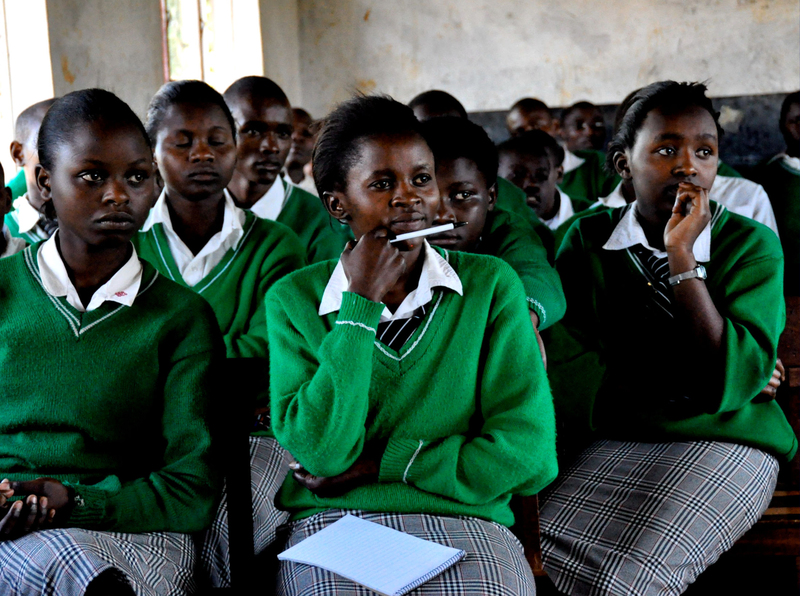 As you may know, CHRF and our wonderful partners have made incredible and historic achievements in Kenya by providing clean water filters to over one-hundred and eighty (180) schools in the country! 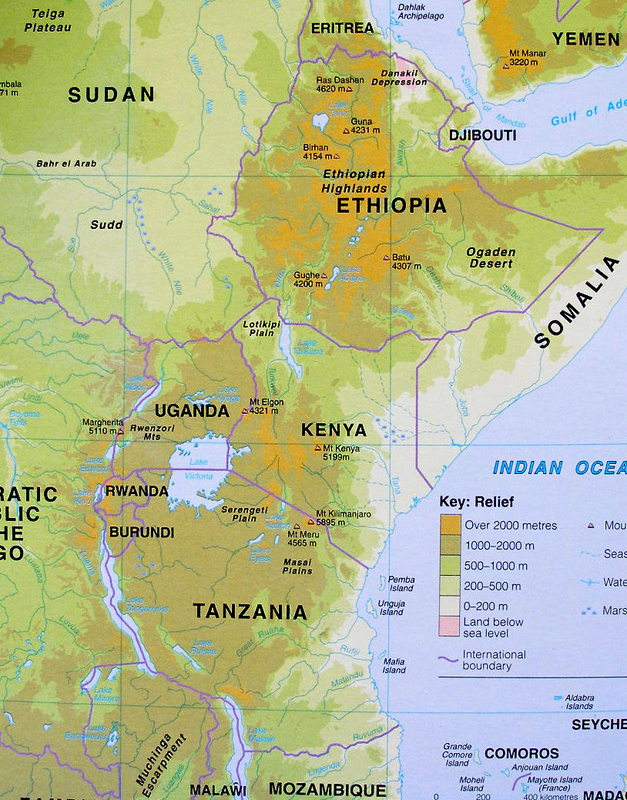 CHRF has been working in Kenya with our different partners for over 20 years! This year we are so excited to announce that our dedication and mission is resilient as ever as we hope to expand the project of providing clean water with our partners to reach out to another 150,000 men, women and children! The project is being called “Clean Drinking Water for All: From School to Community.” There is also support for the project expansion from local leaders and health officials as everyone is excited to see the project come to fruition and in turn see thousands more children benefit. 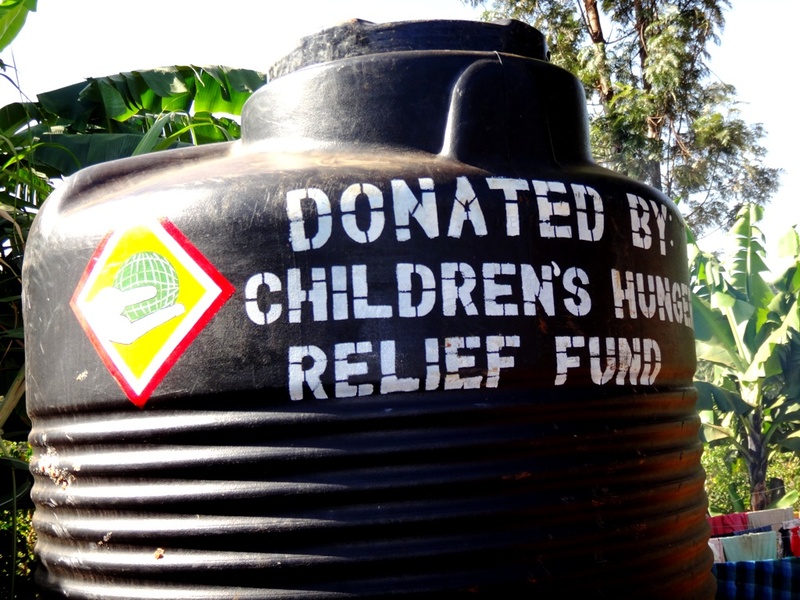 One of many new water tanks in Kenya created with the help of CHRF Donors like you! Before communities can have a clean water filter installed, teachers and parents must come to a sponsored seminar and learn how to not only properly use the filter, but how to maintain and clean it so that it can last as long as possible. Our local project partners will be conducting the trainings and then performing ongoing and surprise inspections to make sure the filters are being utilized correctly. 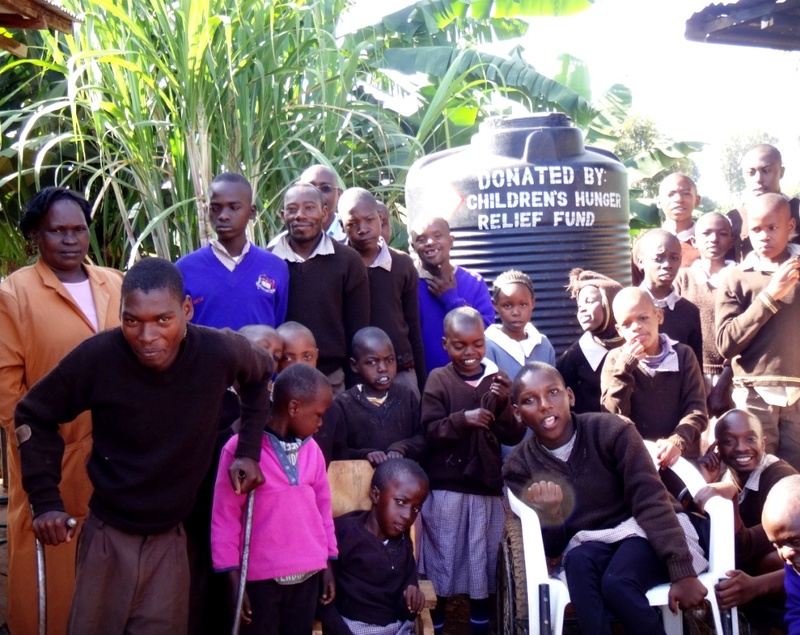 Another great clean water well serving a school for children with mental and physical disabilities in Kenya. Also a new local development that is very exciting are the “health clubs” that are forming in more than 180 schools where we have helped install water filters. Our partners are taking time with the children to form these health clubs which focus on living as healthy as possible. Of course, keeping the water filters and wells working properly are also duties of the club so that their communities do not have to drink dirty and dangerous water as many of them had to do in the past. A classroom of young students learns how to properly clean and use the clean filtered water tanks! Children’s Hunger Relief Fund is also honored to help install an emergency water well in Ghana soon for a Liberian refugee camp that recently sadly lost the lives of six children because their drinking water was compromised. This large well will help provide water for thousands of people and estimates to be about $5,000. Sadly young children living in Ghana died from drinking this type of dirty water from their community supply. It’s so easy for people living in the United States and many other countries to take simple things like clean drinking water for granted. It’s so sad to see that in many areas, water can’t just be taken for granted, but unclean water can take the life of a child. All of us here at CHRF and our partners in Kenya, Ghana, all of Africa and around the world, thank you for your care and compassion for the young beautiful children that we continue to care and provide for. Together our support means the world to them! bravery to go ahead and givve you a shout out from Neew Caney Texas! this blkg with my Facebook group. Talk soon!